Nougat is coming to the Galaxy S7 and Galaxy S7 edge this month, at least if you’re Telstra customer with the Crowd Support website citing February 24th as the go date. The update for Telstra users will begin pushing on that date, though will probably come out in a staggered release. While Telstra hasn’t listed the exact version of Nougat that will be heading out, they’ve advised the update will include Voice over Wi-Fi (WoWifi) and the January 1st security patch. 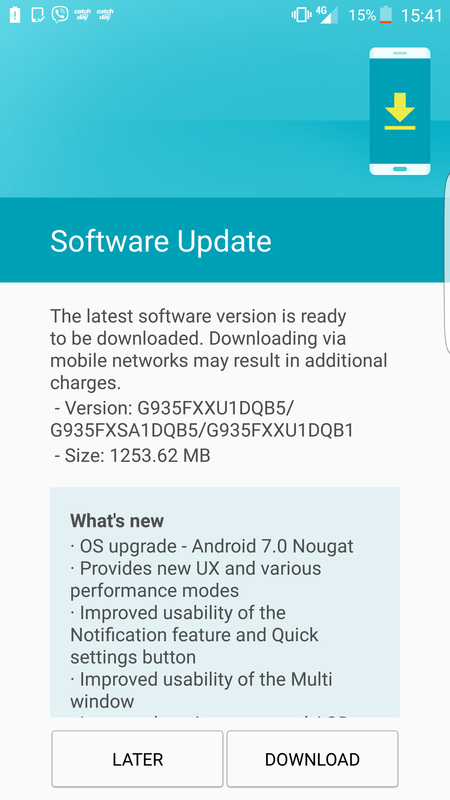 The Nougat update will arrive on Optus and Vodafone handsets, though Optus expects their update to arrive in early March. Vodafone hasn’t approved the update for their customers advising there were ‘Issues found during testing. Awaiting new software from Samsung’. The update will bring all the Nougaty goodness including a revamped multi-window experience that’s supported now from platform level and a revamped notification UI. Samsung has also included a blue light filter to help you get to sleep at night after looking at your screen and you’ll see a lot more squircles in their revamed UI. For Galaxy S7/S7 edge owners, this is a late, yet very welcome update so sit tight, it should be with you soon. Source: Vodafone, Optus, and Telstra. Let’s hope Optus follows suit swiftly, though even on 6.0.1 the device is stellar. The update waiting time is annoying, but I don’t entirely get the outcry. So much this. Why do OEMs feel the need to have carrier branded variants of the same hardware? All it does is add an extra unneeded layer of testing. I got tired of waiting for the Nougat update on my S7 edge so I sold it yesterday. I think I’m done with Samsung for a while as their update schedules are excruciatingly frustrating. CAT S61 — Australian Review · 38 mins ago.